Our #ChristmasCountdown has begun, and we're feeling especially festive this weekend! 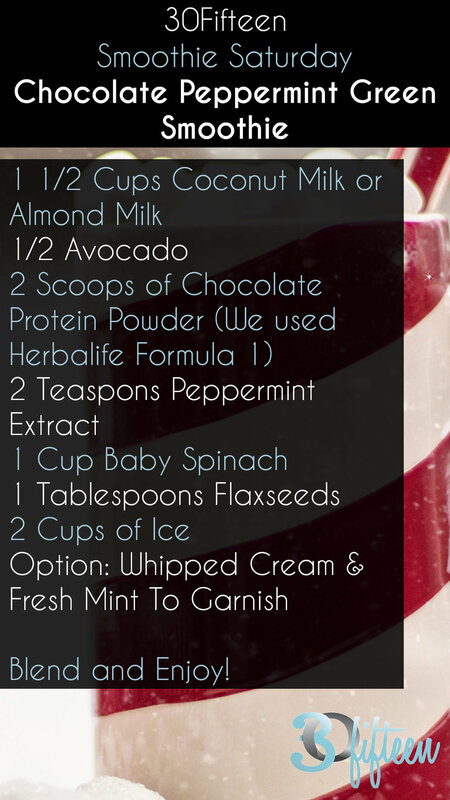 Get your holiday spirit flowing with this deliciously festive smoothie recipe! Spinach: is an excellent source of vitamin K, vitamin A (in the form of carotenoids), manganese, folate, magnesium, iron, copper, vitamin B2, vitamin B6, vitamin E, calcium, potassium and vitamin C. It is a very good source of dietary fiber, phosphorus, vitamin B1, zinc, protein and choline. Flaxseeds: sometimes called linseeds, are small, brown, tan or golden-colored seeds that are the richest sources of a plant-based omega-3 fatty acids, called alpha-linolenic acid (ALA) in the world! ... Another unique fact about flaxseeds is that they rank #1 source of lignans in human diets. Avocado: Contain more potassium than bananas, are packed full of fiber, and can help you absorb nutrients from other plant based foods you consume.